TPS was established to provide a higher quality level of tutoring in the area of English test preparation. Test preparation is too often done by teachers that are skilled in general education or ESL but not in specific English for test purposes. TPS tutors service students throughout the Ottawa area, travel to the homes of their customers and create educational, tailor-made programs to help students pass the tests they need, whether they be for immigration, jobs or for a university. ​If after taking a package course of a 4-week program, a student does not improve his or her overall score by at least one band level, the student is entitled to one free online tutorial, one lecture and 4 free markings. A student must provide official transcripts to TPS within a week of receiving the score. All materials in the form of handouts, digital slides, practice programs, and extra practice e-mail attachments are carefully selected. They must be of the highest quality and contain up-to-date information. For more about materials, please visit our tutor services page. 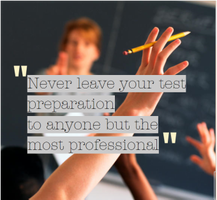 Test preparation specialists. Not just ESL teachers (see teacher qualifications). Tailor-made program based on your needs. Test practice by top quality practice exams. Regular scores based on exams. Free, prompt and detailed marking. For a fuller description of the services, please visit our tutor services page. 2) understand fully the expectations of the standardized English exams they are preparing. Those who finish a program at TPS should be more comfortable and confident before and while taking their test. At TPS, the most important principles are integrity and honesty. We always seek to build trust and thrive on the partnerships we create with students. Even when students can't reach their goals as fast as they would like, we are ready to help them until they do. In my long experience with students, when any student wants to enter a desired university or school, obtain their PR or citizenship, or work in a reputable company, they eventually do if they persist.